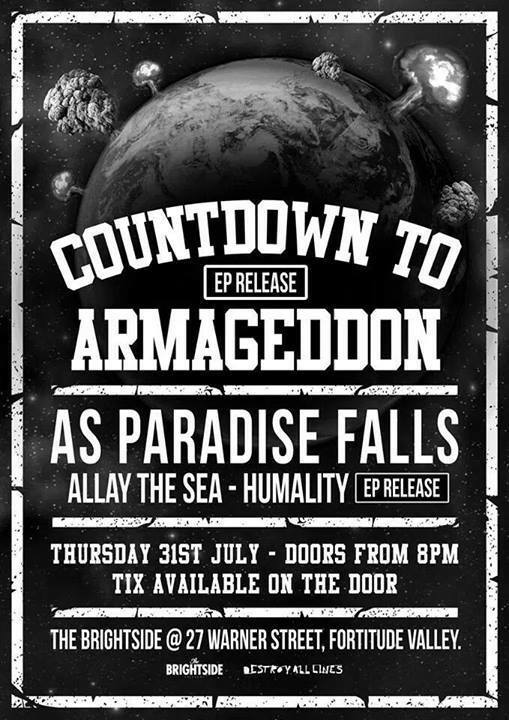 Special double EP release night as Countdown To Armageddon put out their new project as well as a nice new release from Humality. Make sure you check out the new tunes from As Paradise Falls as they represent Mannequin Republic at this rocking hard show. Deathcore, metalcore and partycore fanatics: this show is for you!